When we last left the Winchester boys, they'd averted the end of the world, but at the cost of Sam's (Jared Padalecki) life. Supernatural picks up a year later with Dean (Jensen Ackles) settling into the kind of normal life Sam had always wanted for himself. But Sam's death didn't take, and he isn't the only one. Suddenly, their grandfather Samuel (Mitch Pileggi) is back from the afterlife as well, and the newly resurrected Sam has a whole new team of people to hunt with. But Sam came back different. He's colder, more calculating, and we eventually find out that this is because he no longer has his soul. It's certainly a fun acting challenge for Padalecki, but this first half of the season lacks focus. Or maybe new showrunner Sera Gamble is just playing with the format of the show a little, as there are no season-long threats. When a big bad is eventually introduced in the form of Eve, she's too much like Lillith, and even the mystery of Samuel's return from the grave and the true motivations of his pack of hunters is resolved by mid-season. In a way, Supernatural is trying to be two things at once. It wants those larger-than-life stakes we'd seen in recent seasons, but it also wants the adventure-series tone of the first two seasons. 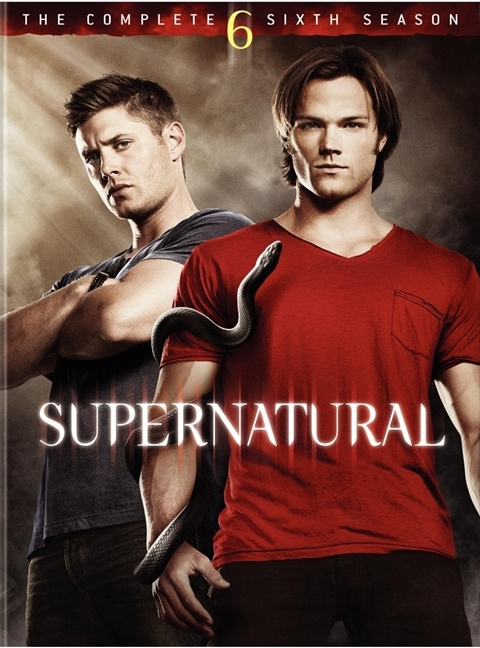 As it turns out, the lighter episodes are far more entertaining, such as "The French Mistake," which drops the brothers into the "real world" -- where they're both actors on a show called Supernatural. This was another meaty opportunity for Ackles and Padalecki, as Sam and Dean both prove to be terrible actors, even when they're just trying to play themselves. Misha Collins is also a blast in "The French Mistake," playing the actor who plays the angel Castiel. The real Castiel spends most of the season pre-occupied with a heavenly civil war. We see virtually none of this on-screen, rather getting updates as the season progresses from Castiel whenever he steps in to help the boys out. And yet, it is Castiel's journey throughout the season that leads to the jaw-dropping season finale, guiding us into what seems to be a more focused seventh season. That said, Supernatural became a hit in the first place because we cared about these boys and were fascinated by their journeys across the country, fighting bad things. We were completely enthralled by the apocalyptic storyline Kripke slowly revealed, but we didn't need it to love the characters and the Winchesters. That's why it works so well that this season focuses on the relationship between the main characters. The Winchesters, Bobby, and even Castiel have become a dysfunctional family, and that bond of love shines through as they face the latest threats to the world, and to each other. One of the cooler extra features on the DVD set spotlights the directorial debut of Jensen Ackles. In it, you can see that the bond of love expands to the actors themselves, as there is nothing but praise and support for Ackles as he tackles something new and challenging. The 30-minute featurette, "Jensen Ackles: A Director's Journey" is a thorough look at the process of directing an episode, from location scouting to the final shot filmed. Because of the challenges of acting while also directing, Ackles was given an episode light in scenes with Dean, and one that came earlier in the season, so he could do some of that scouting before filming even began. The segment does a great job of bringing to light just how much work goes into each installment of Supernatural. The other featurette is "Supernatural and the Quest for the Soul," which is an involved mini-documentary about the soul. While it is informative and interesting as an educational piece, it's a little hard to take seriously when you get sudden interjections from the various people involved with the show. It's a completely unfair assessment, as these people do a lot of hard work and research when grappling with these ideas for the show, but it's still jarring to shift from an expert in theological studies to someone who makes television. We get plenty of outtakes, and particularly plenty of extra "bad acting" scenes from the meta-episode, "The French Mistake." That episode is one of only two with commentary reels, joined by the goofy fairy episode, "Clap Your Hands If You Believe." Other than that, we get the two-part season finale of Supernatural: The Anime Series, which are the only episodes to feature both Ackles and Padalecki voicing the lead roles. As an entry point to the animated series, it's odd to start with the finale, but fans will have already seen it anyway, as it's a remake of the second season finale "All Hell Breaks Loose." If you've been enjoying Supernatural all along, Season Six doesn't disappoint, and the DVD set offers more of the same quality extras as earlier sets. If you're a little daunted by the notion of stepping into a series so late in its run, Season Six is a great jumping-on point. All you need to know is that they stopped the apocalypse and Sam died and went to Hell for it. That said, if you do start now, it probably won't be long before you're tracking down those first five seasons anyway.